Probably the best military rifle in the world in 1895 or thereabouts, outmoded at the time of WW-I and laughably outmoded by WW-II. George Patton made an interesting statement in describing the M1 rifle as one of the super weapons of WW-II and noting that war is not just about aircraft carriers and bombers, but that a rifle was still the most basic instrument of war and that any sort of a major advantage in this most basic weapon was gigantic. The Germans used tanks and ground-support aircraft for offensive operations, and were uniformly successful with that method when they weren't heavinly outnumbered, which is what happened to them in the Soviet Union in 1943. For defensive operations, they relied upon their medium and light machine guns, with which their divisions were well supplied. A standard 1943 or 1944 class German infantry division has from 10 to 30 times as many medium and light machine guns as an American infantry division. The Mauser was certainly an obsolete weapon, but German infantry in defensive positions served only to protect the machine guns, and to supply them with ammunition. The effect could be devastating. I recommend Beyond the Beachhead: The 29th Division in Normandy, Joseph Balkoski, Stackpole Books, Harrisburg, Pennsylvania, 1989, in which Mr. Balkoski compares the armaments of the 29th Infantry Division (U.S. National Guard) to the 352nd Infantry division (a 1943 class German infantry division). In addition to the light and medium machine guns in a German infantry division, the Germans were much better supplied with sub-machine guns and machine pistols. Much of the resistance in Normandy came from the 6th FS Brigade (FS=Fallschirmjaeger, meaning paratroopers), which was not equipped with the Mauser, except for snipers (for whom it is a perfectly acceptable weapon), but rather used machine pistols and sub-machine guns. It is hardly to be wondered at that the Germans did not look for improvements in the basic infantry rifle after 1917, given that their tactical doctrine relied upon sudden assualts intended to infiltrate or overrun the enemey, in which situation the Mauser is a perfectly acceptable weapon. In defense, as i have pointed out, they relied on machine guns, and not on the Mauser. The soldiers of the 916th and 726th regiments occupied slit trenches, eight concrete bunkers, 35 pillboxes, six mortar pits, 35 Nebelwerfer (multi-barrel rocket launcher) sites and 85 machine-gun nests. This refers to their defensive positions above what the Allies referred to as Omaha Beach. The quality of the an infantry rifle could hardly have had a significant impact to make such a defensive position more formidable. The position described was in addition to the 10,000 mines the division had laid, and the numerous underwater obstacles constructed of iron and wood which they had placed. Despite Gunga Dim's low opinion of the Mauser, the 352nd held up two divisions--the First Infantry Division (Regular Army) and the 29th Division (Army National Guard)--for many hours after the landings began. Overwhelmed, the division successfully counterattacked in the night, and then withdrew in good order in the morning as the American build-up continued, and they were threatened with annihilation if they attempted to remain in their "in-depth" defensive positions behind the bluffs above the beach. I don't have a brief to praise the Wehrmacht and its soldiers and weapons. However, i am disgusted by people who claim to have historical knowledge but don't, and especially when they are just stroking off looking at pictures of guns. There is no reason to assume that any significant number of the soldiers in the 352nd Division were members of the NSDAP, so to refer to them as "Nazis" is mere stupidity. In fact, the NSDAP had almost no control over, and doubtless little to no interest in weapons systems and tactical doctrine in the Wehrmacht. One interesting thing about machineguns btw is that nobody ever won any sort of a long range shooting contest with one. Put a man with ANY machinegun, including that super German machinegun, up against an American marine sniper at 600 yards, and the guy with the machinegun would be highly likely to lose. One huge difference you might notice between the M1 and the Mauser aside from the semiauto action, is that like all American military rifles, the rear sight is as far back as it can be gotten on the rifle while the rear sight on Mausers was in front of the action. The longer sight radius makes for much greater accuracy as does also the adjustible peep sight, as opposed to the dovetail sight on the Mauser. Everything else being equal, the man with the Mauser would have no chance against the man with the M1, particularly from any sort of distance. I have a german 8mm mauser and I thought it's a pretty great rifle. When it comes to calling germans stupid you should be slapped. Have there been accuracy trials between the Garand and the Mauser? 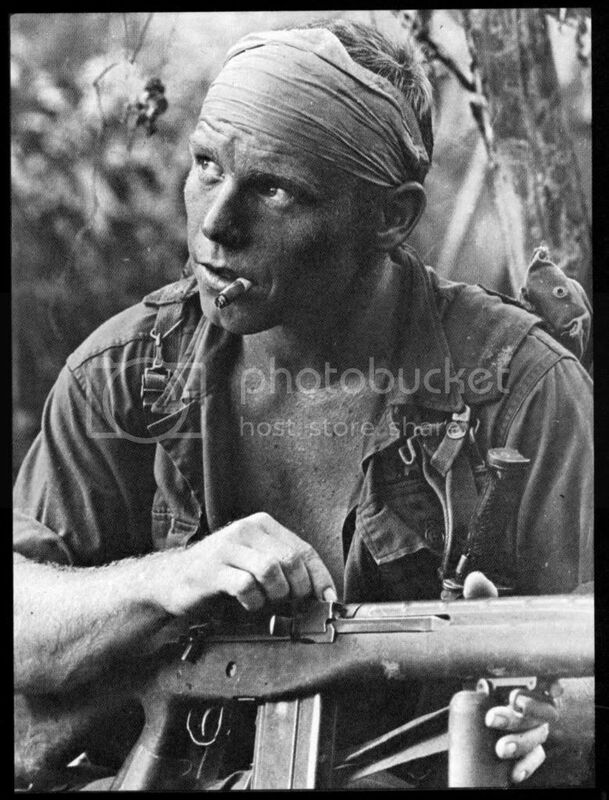 toward the M-14 SOONER, at least insofar as a larger magazine. The Garand has a much longer sight radius than the Mauser and is more accurate. Browning wanted to use detachable mags on the M1 but army bosses saw that as an evil thing and forbade it. The 308 cartridge which the M14 uses corresponded to an advance in smokeless powder which came in around 44 i.e. too late for WW-II. It is basically more accurate and consistent than the 30-06. The Garand has a much longer sight radius than the Mauser and is more accurate. Browning wanted to use detachable mags on the M1 but army bosses saw that as an evil thing and forbade it. Perplexing; obviously, thay had submachineguns with detachable mags. which came in around 44 i.e. too late for WW-II. It is basically more accurate and consistent than the 30-06. Great old battle rifle, the 1st battle rifle I ever fired. Very popular worldwide... about 1 year ago a fully functioning US Rifle, Cal. .30, M1 was captured in Iraq. In 1957 the US Rifle, Cal. .30, M1 was replaced by the select-fire United States Rifle, 7.62 mm, M14. 1965 M14E2/M14A1 ... select fire. 2011 TACOM M14EBR-RI ... semi-automatic. One huge difference you might notice between the M1 and the Mauser aside from the semiauto action, is that like all American military rifles, the rear sight is as far back as it can be gotten on the rifle while the rear sight on Mausers was in front of the action. The longer sight radius makes for much greater accuracy as does also the adjustible peep sight, as opposed to the dovetail sight on the Mauser. Kalashnikov rifles suffer from the same iron sight configuration. When it comes to calling germans stupid you should be slapped.